Gian has worked in the accessibility industry since 1998 and consulted on the development of the first Level AAA accessible web site in Australia (Disability Information Victoria). 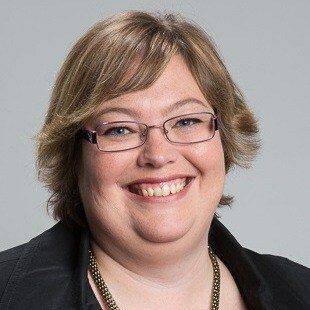 She has worked with the Disability Services arm of the Victorian Government for over thirteen years to keep the four iterations of the Disability Services site (Disability Information Victoria, Disability Services, Disability Online and DiVine), Level AAA accessible. She ran the accessibility consultancy PurpleTop from 2000 to 2005 and built the accessibility tool, PurpleCop. Gian Wild spent seven years on the W3C Web Content Accessibility Guidelines Working Group and contributed to the W3C Evaluation and Repair Tools Working Group and the W3C Authoring Tools Accessibility Guidelines Working Group. She spent six years contributing to the development of WCAG2. Gian is often asked to speak at both web and accessibility conferences around the world, including in the United States, Europe, South America and Canada. She spoke at the United Nations on the importance of accessibility at the Eighth session of the Conference of States Parties to the Convention on the Rights of Persons with Disabilities. Amongst other sites, Gian has worked as the Accessibility Consultant for the Melbourne 2006 Commonwealth Games and was responsible for training Microsoft developers in accessibility. She also wrote the original and updated version of the Victorian eGovernment Resource Centre Web Accessibility Toolkit. In addition to her accessibility work, Gian is often asked to judge the accessibility aspect of web awards, having previously judged the Web Directions McFarlane Award, been the Accessibility Judge for FullCodePress (build a web site in a day) twice and has been the Accessibility Judge for the Australian Web Awards five years running. Gian Wild presented at the United Nations Eighth session of the Conference of States Parties to the Convention on the Rights of Persons with Disabilities. Gian Wild was an Invited Expert of the W3C Web Content Accessibility Guidelines Working Group from 2000 to 2006. During this time she attended weekly two hour teleconferences and infrequent face-to-face meetings. She contributed to the both the writing and design of the Web Content Accessibility Guidelines, Version 2.0. The WCAG Samurai Errata is an alternative to both WCAG1 and WCAG2, written by Joe Clark and other unknown accessibility specialists. Gian was invited to write a peer review of the WCAG Samurai Errata when it was first released. The Melbourne Web Accessibility Group was started by Gian Wild in 2010. The aim of the group is to promote accessibility and provide a meeting place for people interested in the area.